Alexander Robey Shepherd, “Alexander Robey Shepherd,” Histories of the National Mall, accessed April 22, 2019, http://mallhistory.org/items/show/124. As a member of the DC Board of Public Works and later as Governor of the District of Columbia, Alexander Robey "Boss" Shepherd managed a number of public works programs in the 1870s. He oversaw the project to fill in the part of the Washington City Canal which ran along present-day Constitution Avenue. A statue honoring Shepherd can be found just off the Mall at the intersection of 14th Street and Pennsylvania, Avenue, NW. William Tindall, "Governor Alexander R. Shepherd's Photograph," Records of the Columbia Historical Society, Washington, D.C. , Vol. 24, (1922), facing page 192. View original image. Shepherd was born in southwest Washington, DC, in the 1830s. When he was about 10 years old, his father died. Three years later, he left school for a job with a plumbing and gas fitting business to help support his mother and siblings. He rose through the company, opened his own plumbing business, and used those profits to become involved in real estate in the District. As his wealth increased, he expanded his business interests to include banks and local newspapers. In 1862, he married Mary Grice Young, also from Washington, DC. Shepherd’s interest in politics grew as he rose into Washington’s elite business and social circles. In 1861, he was elected to City Council, and served three one-year terms. At the time, the District of Columbia was made up of a collection of small local governments, and Washington and Georgetown were separate cities. Shepherd and his allies lobbied Congress for a single territorial government for the entire District, which would bring it under the control of a governor and council appointed by the President of the United States. The Organic Act of 1871 passed, and Henry D. Cooke was appointed the District’s first governor, with Shepherd appointed to the Board of Public Works. As head of the Board of Public Works, and later Governor, Shepherd made substantial changes in the city’s built landscape. He oversaw the installation of wooden and stone sidewalks, the paving of city streets, and the planting trees on residential roads. He also filled the Washington City Canal and covered major portions of Tiber Creek. Not everyone approved of his bold actions and construction projects throughout the city. 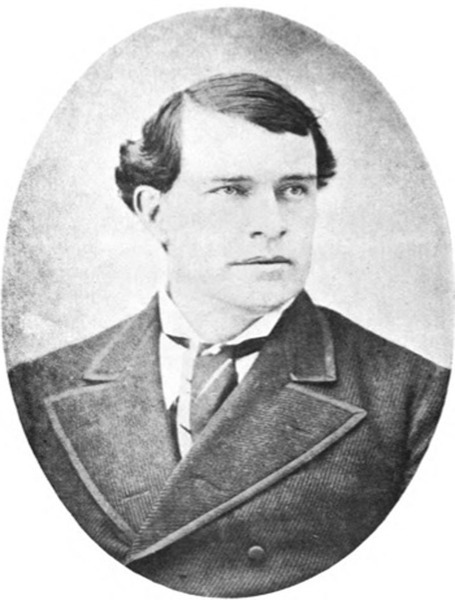 Congress fired Shepard in 1874. Shepherd remained in Washington until 1876 when he declared bankruptcy and moved to Mexico.There, he purchased a controlling share in a silver mine in Batopilas, Chihuahua. He eventually moved his wife and nine children to join him in Batopilas. Shepherd used his financial influence to improve the city’s facilities. He died in 1902 in Mexico, but he is buried in Rock Creek Cemetery in Washington, DC.